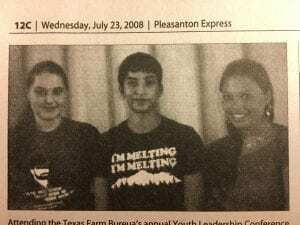 Attending the Texas Farm Bureau’s 45th Annual Youth Leadership Conference held at Angelo State University June 23 – 27, 2008 were: Kayla Hey from Jourdanton High School, Adam Ramon, and Nikkiah Guerra from Poteet High School. The students were sponsored by the Atascosa County Farm Bureau. They joined more than 300 high school juniors and seniors from over 150 counties across the state. Quilter’s Circle of Pleasanton has donated a homemade queen size scrappy quilt to the Pleasanton Community Center, Inc. for a benefit raffle for PCCI. The quilt was made by Quilter’s Circle members Betty Balzen, Diane McHorse, Pat Stevens, Lois Royal, Barbara Hughes and Pat Nunley. 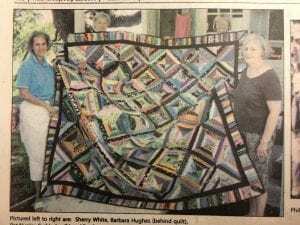 Quilting was done by Sherry White on her long-armed quilting machine. 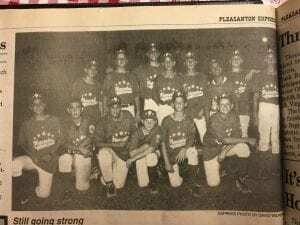 The Pleasanton Junior League All-Stars were looking for new teams to conquer after they won the east zone and district championship last week and advanced to sub-sectional tournament in San Antonio. Kneeling (left to right) Chase Martinez, Jason Baylor, Stephen Rios, Nolan Porter, Jonathan Repka and Brandon Hevner. In the back (left to right) William Wilkerson, Dane Anderson, August Peters, Clayton Walters, Jason Guerra. A.D. Garcia, Derek Easterling and Clayton Rains. Three Pleasanton High School track athletes, Jason Garcia, Jacque James and Frank Baca have qualified to participate in the National AAU Junior Olympics on Aug. 2 – 8 at Norfolk State University in Norfolk, Virginia. 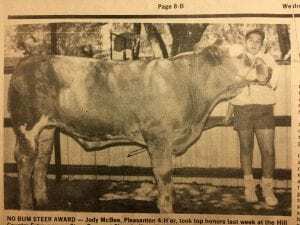 Jody McBee Pleasanton 4-H’er, took top honors last week at the Hill Country Extravaganza Steer Prospect Show in Kerrville. 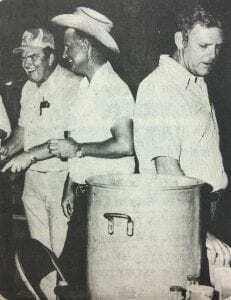 He exhibited how Simmental Steer in the heavyweight division to take first place and later won the championship of the division with the same entry. 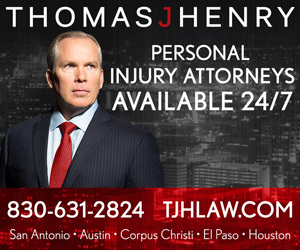 Over 325 entries from across the state competed. 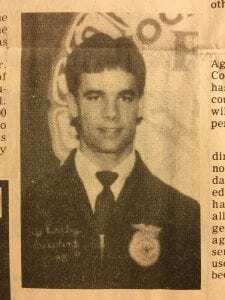 Jeff Darby of the Jourdanton FFA Chapter has been elected State Vice President of the Texas Association of Future Farmers of America. For the next year, Darby will serve at the statewide post representing the over 53,000 members of the Texas FFA. These five Pleasanton junior golfers really brought back the loot from the Devine Country Club last Tuesday. 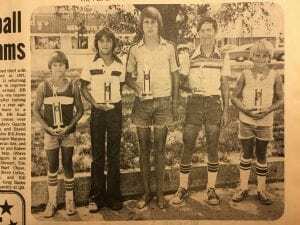 From left to right, golfers and their winnings are Eric Northbrook, 1st place, boys 13 and under; Steven Knight, 2nd place, 13 and 14 years old; Kevin Farrer, 1st place, 15-17, Frank Zabara, 4th place, 15-17, and Evan Northbrook, 2nd place, 12 and under. The Atascosa Livestock Show Jamboree was a big success! It was hot early so there wasn’t a big crowd for the steer roping but as it got later and colder, there was a big crowd for the barbecue, bingo, auction and dance. Over all, about $2,000 was raised to go on a new addition to the barn built last year. Steve DeVilbiss, 13 year-old PHS Freshman, competed in the Junior Olympics in San Antonio last week and won both events in which he was entered. Steve took the high jump with a leap of 5-feet-3 and won the long jump with a 17-foot-10 effort. the 13 year-olds were not eligible for further competition. Pleasanton Future Fatmers marched off with several important honors at the state FFA convention in San Antonio last week. Luther Meyer received the Heep Dairy Scholarship. 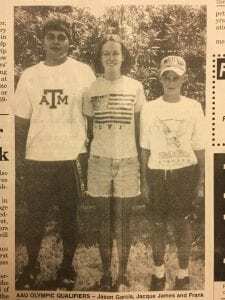 The $400 scholarship is continent upon Luther entering Texas A&M and studying in the field of dairying. Luther received this award because of his outstanding dairy program. Only one boy in the state may receive this award annually, according to Gilbert Kuretsch, Pleasanton vocational ag teacher. Erwin Kretzchmar of the Pleasanton chapter received the Lone Star Farmer degree – highest FFA degree in the state -at the convention. And the Pleasanton chapter again earned a Gold Emblem rating, highest obtainable in Texas.